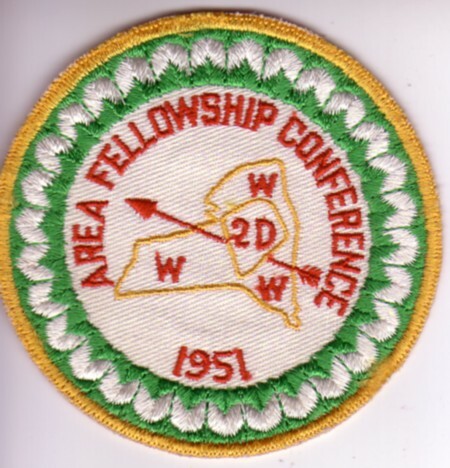 The Order of the Arrow Conclave Handbook Volume 1 by Dingwerth and Jensen indicates that there was a patch issued for the 1951 Area 2-D Conclave. 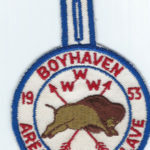 As you can see on the patch below, there is no indication of the host lodge or the location of the event. Were there any other items issued for the event?